The Orion Systems Red/Black Console interconnects Console Operators with radios, telephones, and other console operators. Each Red/Black Operator Console is comprised of an electronics chassis and a touch screen PC. 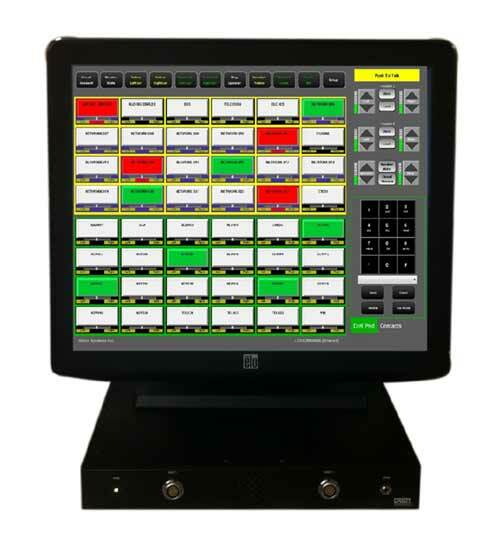 The Operator GUI interface features include Multi-Monitor Selection, Multi-Talk selection, Mute, Per Circuit Volume, Per Circuit Audio Present, Per Circuit Label, Headset Volume Control, Speaker Volume Control, Telco Dial Pad, Caller ID, Redial, Transfer, and Hold. The operator GUI interface runs on a Windows PC and can easily be locked down to meet IA requirements. 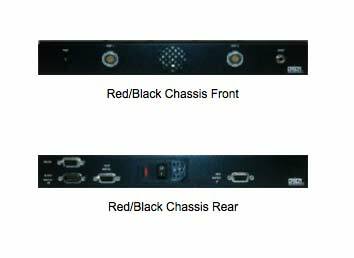 The Red /Black Console adheres to NSTISSAM TEMPEST/2-95 red/black isolation of -100db and has successfully past Tempest certification by a certified Tempest lab. The electronics chassis is a three chamber device consisting of a red chamber, black chamber, and a headset chamber. The red and black chambers interconnect to their respective red and black networks. The headset chamber directs the operators audio to either the red or black red or black network. The electronics chassis is 1 ¾” high, has 2 front facing headset jacks, and includes a rear mounted footswitch connector. The electronics chassis can be either rack mounted or desk mounted. The headset interfaces can be set to operate as supervisor/trainee or equal capability.